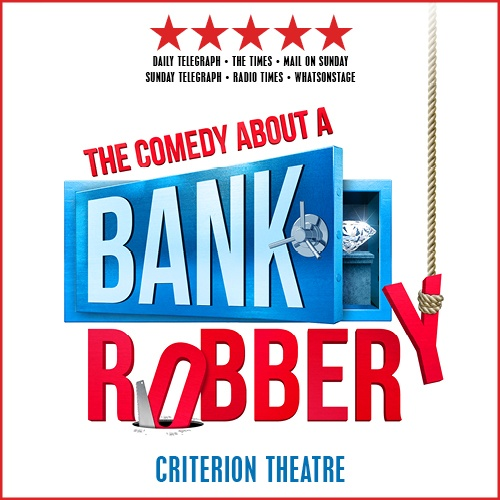 The Comedy About A Bank Robbery, a brand new play written and starring the creators of The Play That Goes Wrong, will begin previews at the Criterion Theatre from March 2016. One enormous diamond. Eight incompetent crooks. And a snoozing security guard... What could possibly go right? Book now for the hottest ticket* in town! It would be criminal to miss it. *Beware, pickpockets are known to operate in this area! The Comedy About A Bank Robbery is a Mischief Theatre production presented by Kenny Wax Ltd and Stage Presence Ltd.